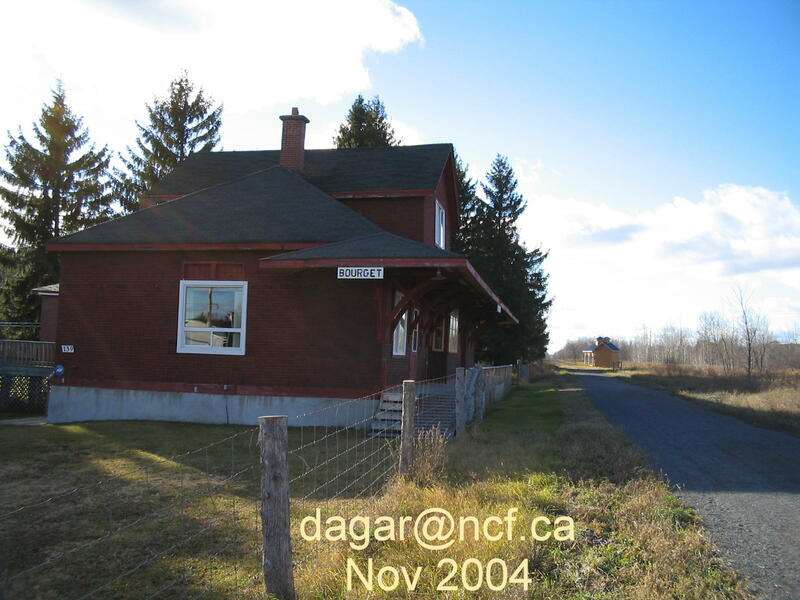 Contact me concerning more photographs of the all-seasons journey from Vaudreuil to Ottawa (including VIA station and WAMO junction with CP Waltham subdivision). Compared with distance of the journey on the CP Lachute subdivision from Hull to Montreal, the CP M&O subdivision from Ottawa to Vaudreuil became the Short Line. The only remnant of rail on the Ontario right-of-way of the M&O begins near Cyrville Road in Gloucester township and continues to the Ottawa VIA terminal. 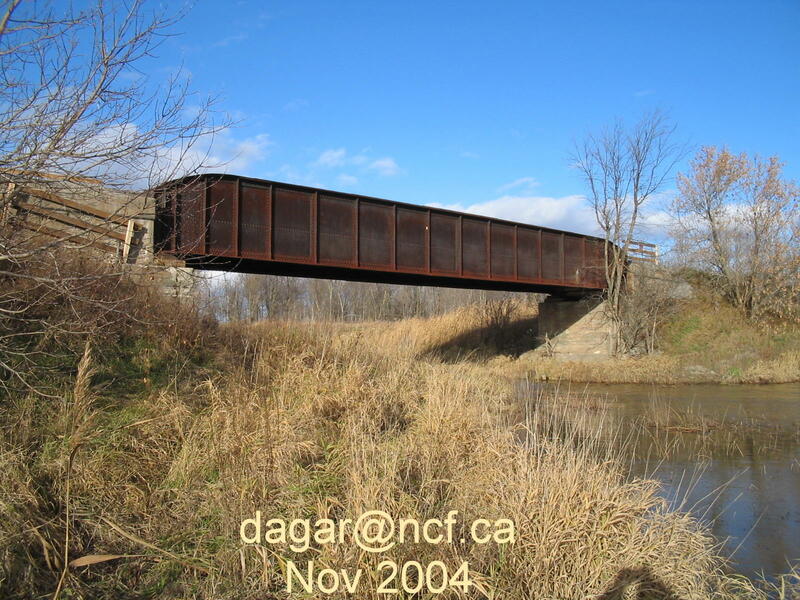 On a regular basis, VIA Rail continues to use what is known as the M&O wye near Cyrville Road. 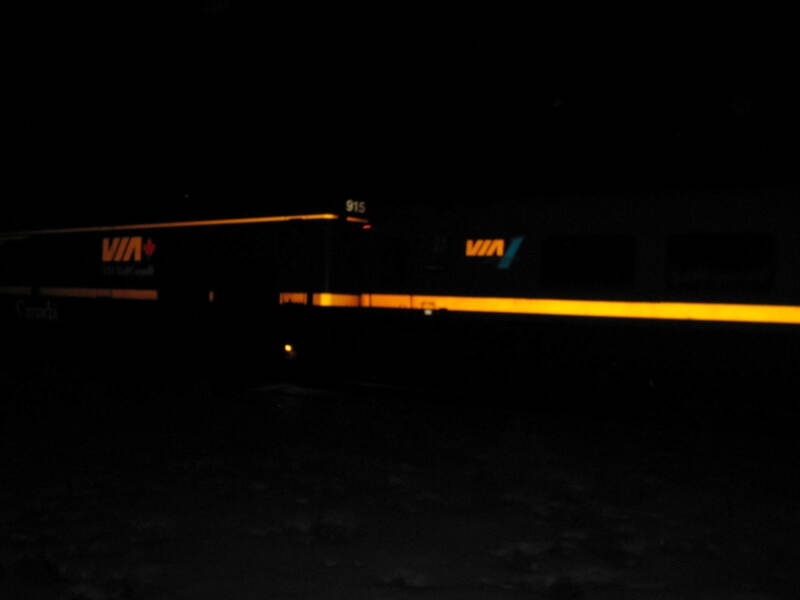 VIA's LRC passenger cars are passing under Ontario provincial highway 417 (08 Jan 2005). Immediately west of the VIA terminal, the two tracks curve south following the subdivisions once known as CP Prescott and CN Beachburg. 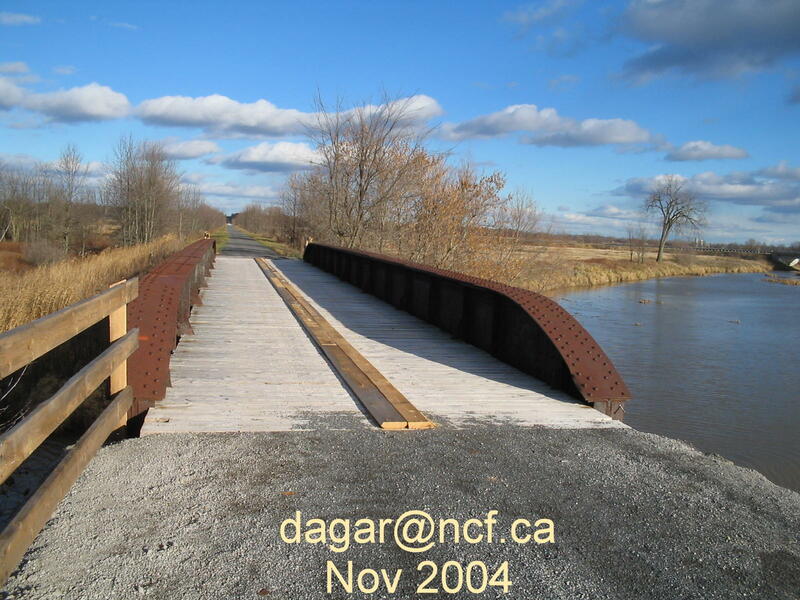 In a line continuing west of the Ottawa VIA terminal and beyond the location of the former Hurdman tower (gone since 1966), the M&O's rail-less bridge still crosses the Rideau River, carrying a paved bicycle pathway. 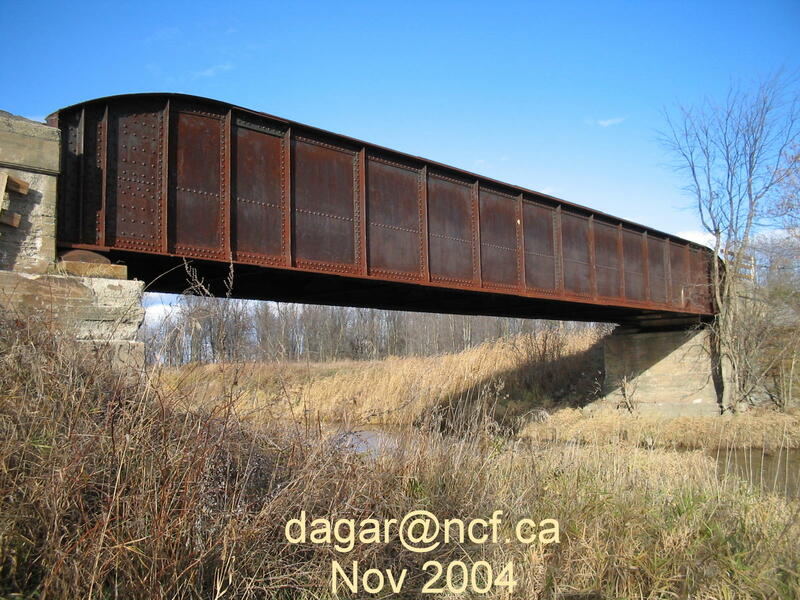 This bridge was built by the Carnegie Steel Company (1898). The Ottawa VIA terminal is visited by a variety of equipment. 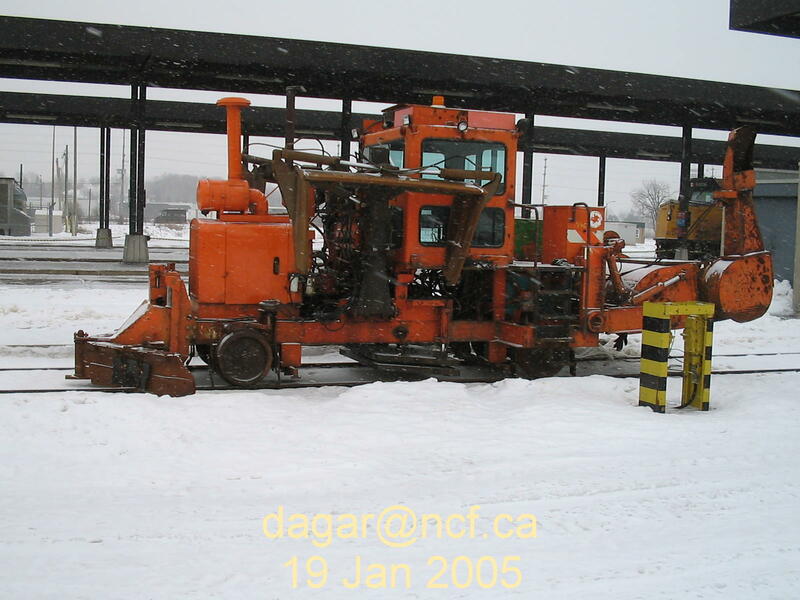 The ever ready plow waits to assist on a stub east track (19 Jan 2005). 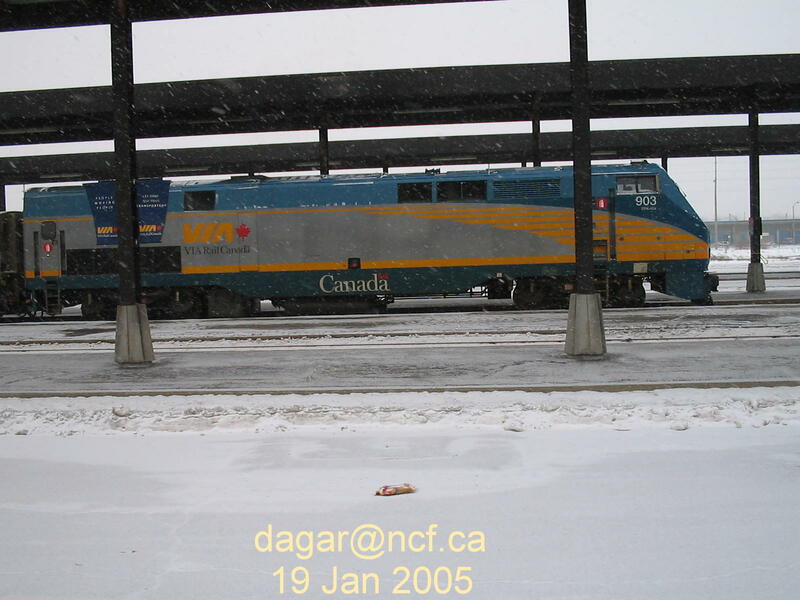 On 19 January 2005, snow falls near P42DC 903 (built 2001), track #2. 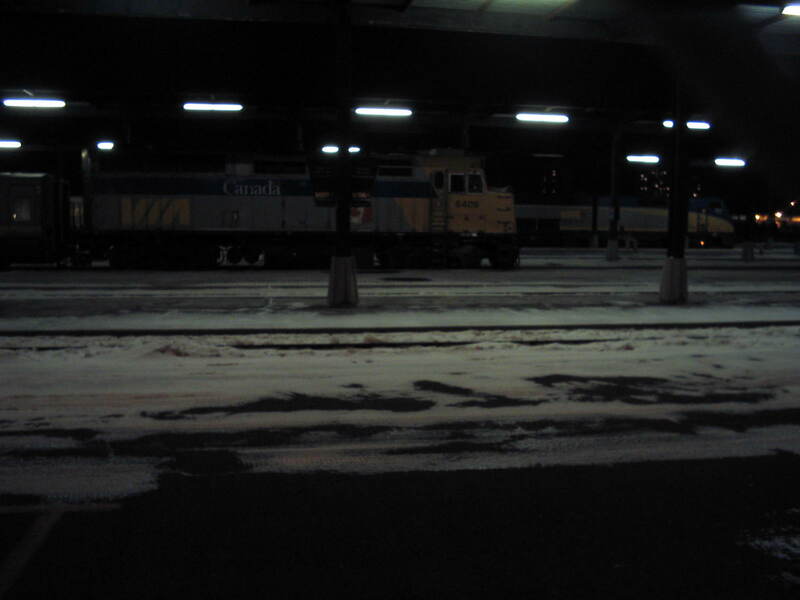 P42DC 905 waits for the morning journey to Montreal (02 Feb 2005). P42DC 915 pulls a VIA train by Triole Street (05 Jan 2005). 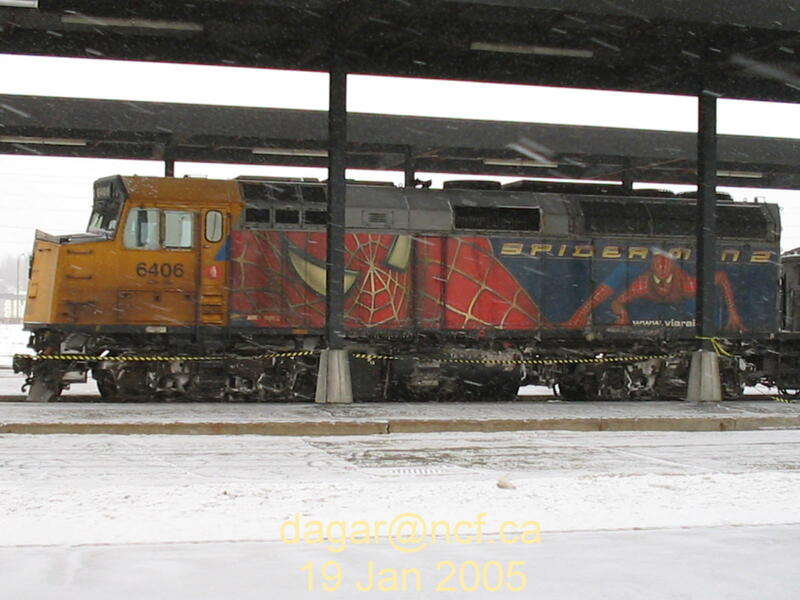 F40PH2 6406 (built 1987) wears the Spiderman2 livery (19 Jan 2005). 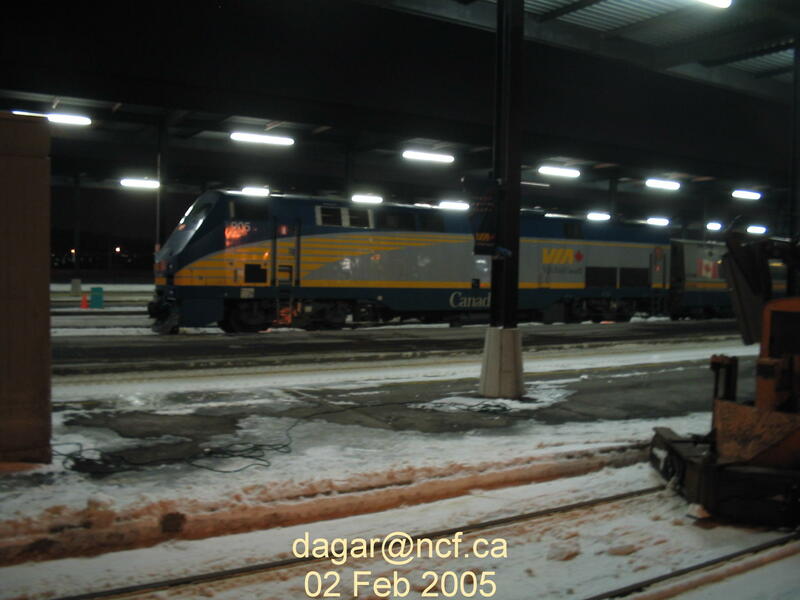 F40PH2 6409 and its consist rest in the Ottawa terminal alongside another consist headed by a P42DC, tracks #2 and #5 respectively (05 Jan 2005). 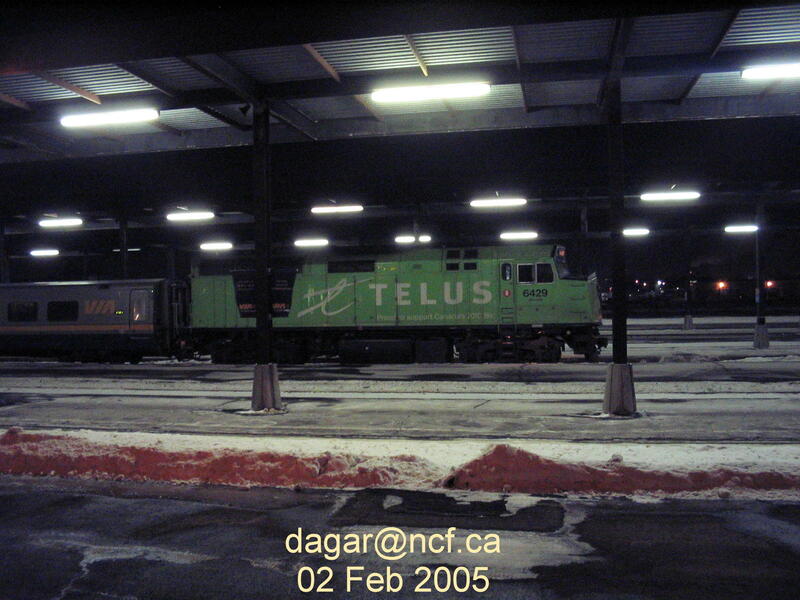 F40PH2 6429 wears TELUS livery (02 Feb 2005). 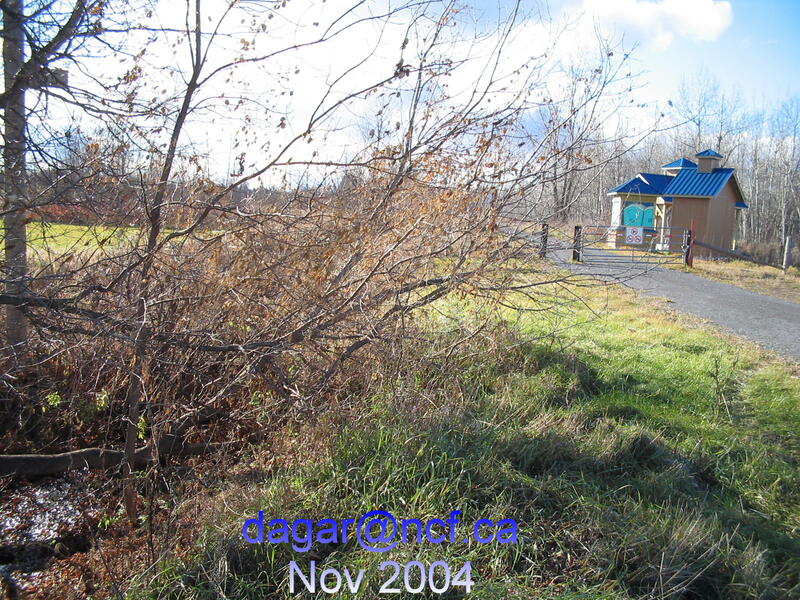 The portion of the former right-of-way which lies in the united counties has become the Prescott-Russell Recreational Trail. 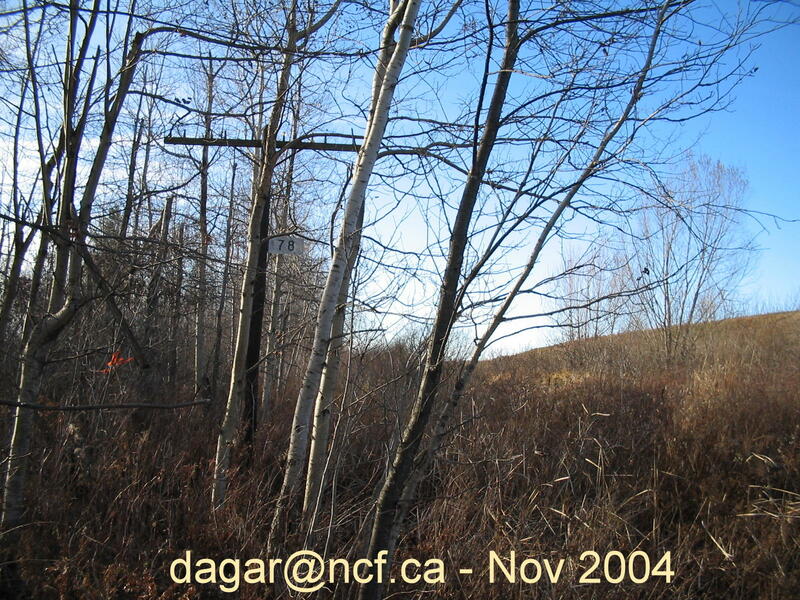 The roofed structures visible at Hammond and Bourget are rest centres maintained along the recreational trail. The portion of the M&O right-of-way in Cumberland and Gloucester townships is maintained as Carleton Regional Snomobile Club trail #CR103. 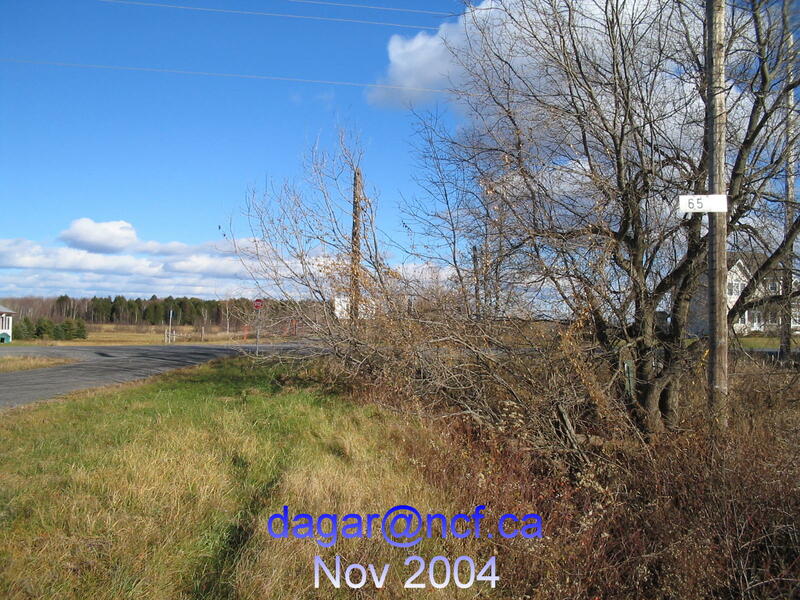 From Cumberland's Fourth Line (Sarsfield Road) to the town line (Canaan Road), the trail is part of Ontario Federation of Snowmobile Clubs trail #E212Q. 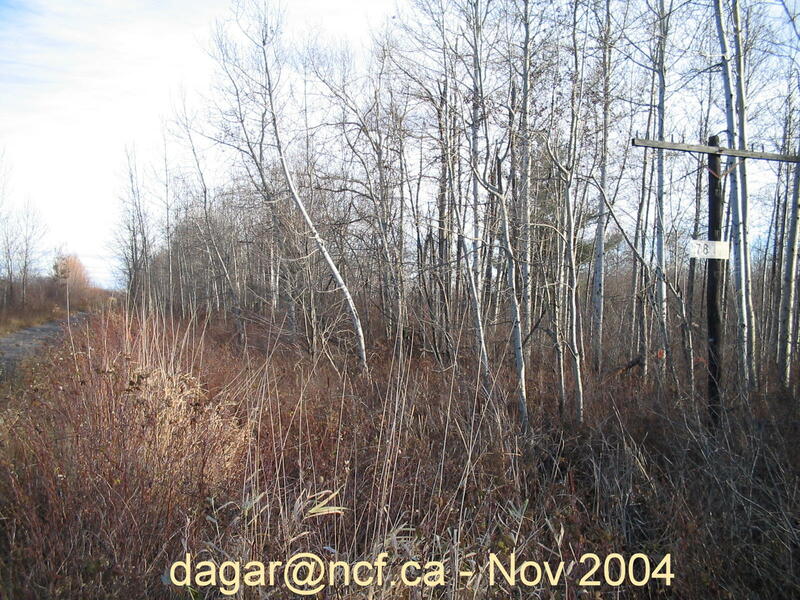 This OFSC trail winds its way to a remnant of abandoned CN Hammond subdivision. Ontario mile posts have survived at 78 (just west of the Gloucester-Cumberland townline, photographs follow) and 65 (the former Hammond station). The retired switch at the eastern end of the siding at Leonard still awaits salvage crews. In the third and second concessions of Cumberland township, other railroad remnants can be found: a 1911 culvert, a skunk, a 1926 culvert and a 1922 culvert. The M&O Hammond station was located immediately east of a crossing of the CN Hammond subdivision abandoned since 1923. The crossing of the right-of-way is nearly unrecognizeable. 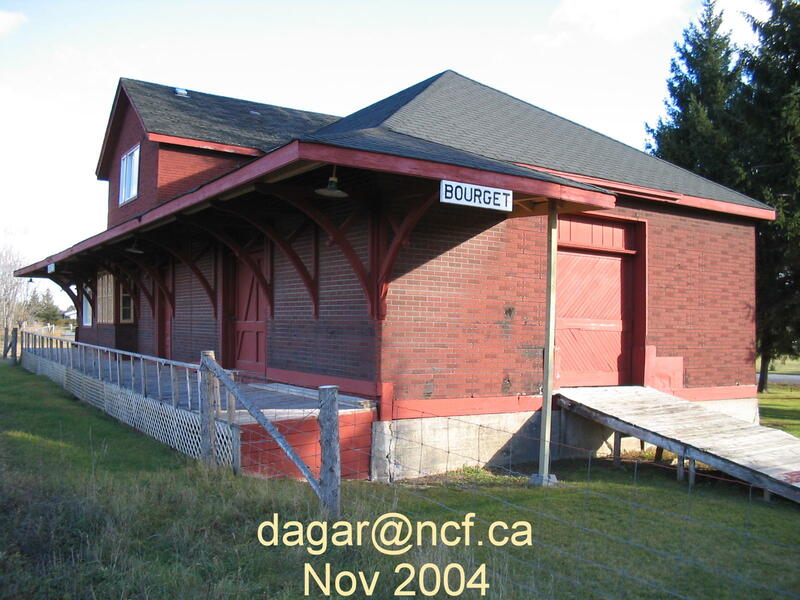 The only surviving Ontario station on the M&O is in Bourget. The station is now a private residence. 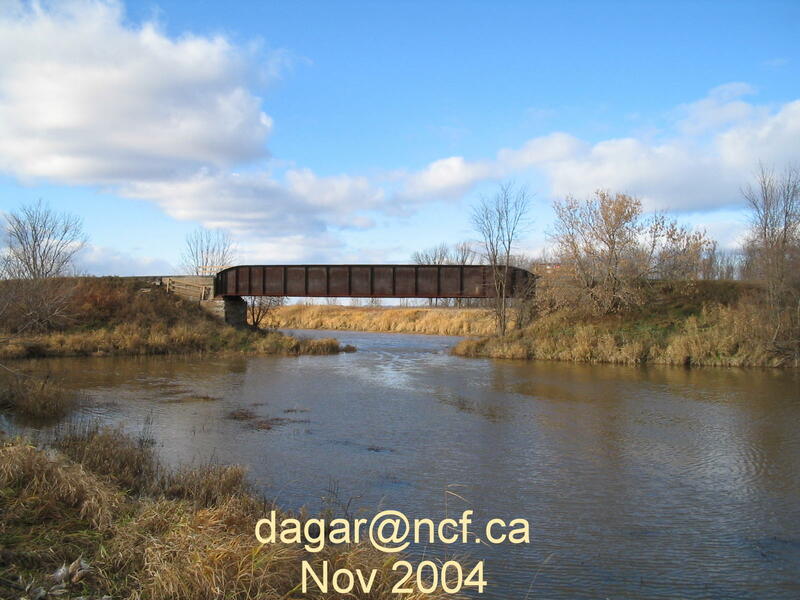 The Cobbs Lake Creek bridge is crossed just before leaving Clarence township for Plantagenet township. In Quebec, the M&O subdivision remains under rails from Rigaud to Vaudreuil where it connects with the CP Vaudreuil subdivision and on to the island of Montreal. 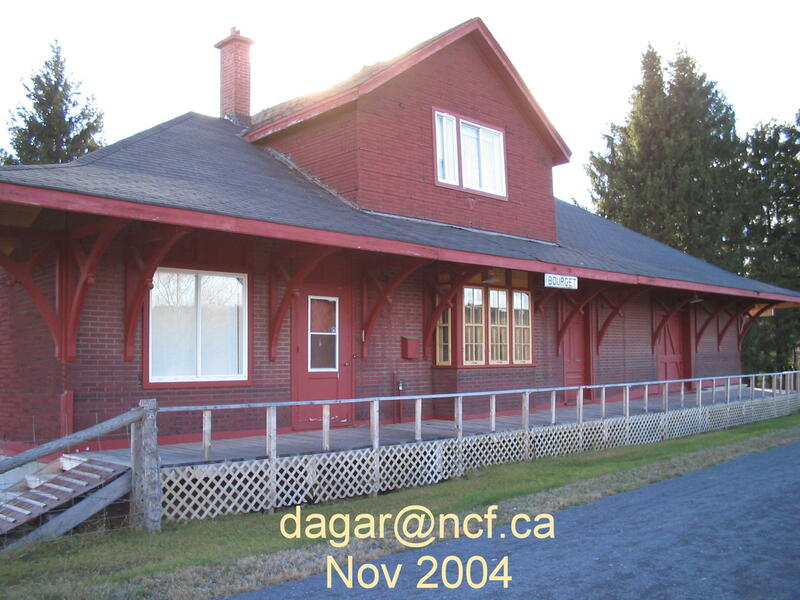 CP stations still exist in Rigaud and Hudson. During each rush hour, the stations host a train from Montreal's Agence métropolitaine de transport (AMT), #112 in the morning and #111 in the evening. 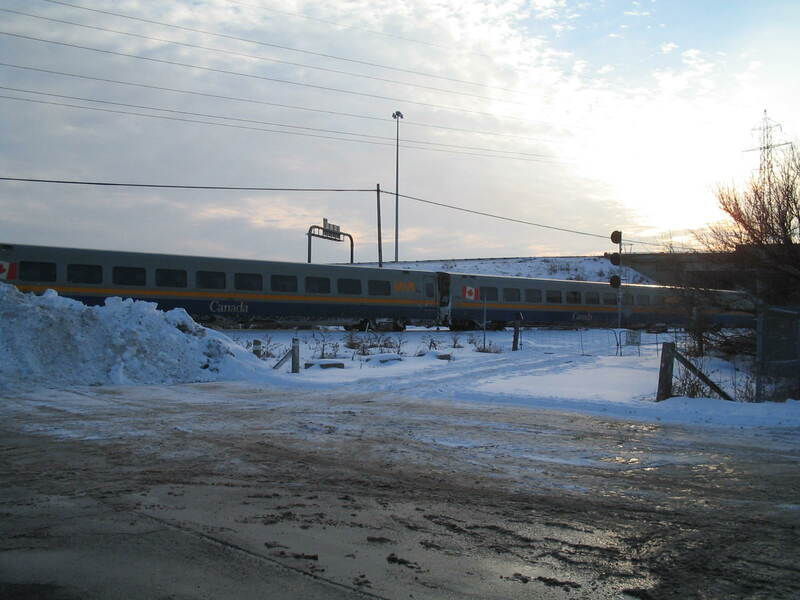 AMT's F59PHI 1327 (EMD, 2001) and train rest on the Rigaud siding (06 Mar 2005). That portion of the right-of-way between Rigaud's end-of-rail and Prescott county, Ontario, is part of Quebec snowmobile trail 317. Retired station mile and advance yard limit signs on the abandoned approach to Rigaud still stand.